While a town car service is often used by corporations to transport visitors, clients and even executives in and around the city, VIP Tours Cyprus is also able to provide vehicles and drivers for special tours and events. We are glad to offer our clients an opportunity to explore Cyprus and get a historical, religious and cultural sense of the country. Being an Elite-services provider our creative team is able to develop for our demanding clients a customized tour in accordance with their own wishes. We offer a wonderful way to celebrate a graduation or wedding, to get back and forth from a concert, or to have a special night out with friends. As the driver and the car will be available for pick-up and drop-off when and where you need, there is never a concern about parking, driving or having to worry about transportation. We can also arrange for multiple destinations during the trip, just contact our staff and we can prepare a quote. You can enjoy the comfort and safety of professional drivers and luxury vehicles for these events. Receive VIP treatment from the moment our driver arrives to provide your transportation. 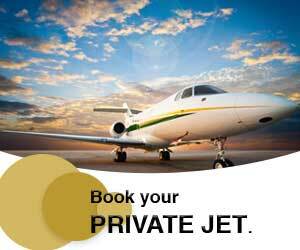 With all the benefits and advantages of using VIP Tours Cyprus, we know you will enjoy the luxury and comfort. Our professional drivers and customer service care team will ensure all of your transport needs are scheduled, planned, and coordinated with our easy to use website. If you have any questions or requests, please use the form below to contact us directly.